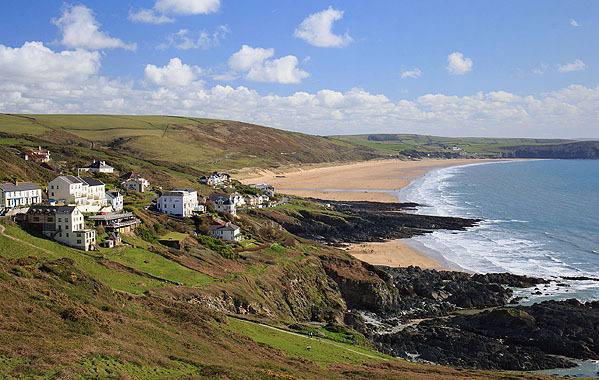 The small sandy beach - Grunta Beach - is to the north of the impressive 2 mile long Woolacombe Sands . Victorian / Edwardian houses overlook the beaches . The Devon Coast between Foreland Point and Hartland Point.